Opening a local small business in the food sector is a dream for many. Some gravitate toward the homey, or the quaint, or the stylish or the elegant, but all café owners and restaurateurs learn quickly that competition in the industry is fierce and margins are tight. You should be sure that this is the right career for you before diving in. While launching and running the business side of a café or restaurant is a whole other challenge in and of itself, with loads of research and paperwork required, let’s focus more on the marketing side of things. If you study marketing in general, you’ll learn that the consumer value of any given product or service doesn’t have to correspond to its production value. Production value is what you spent to generate the product or service. You’ll need to inflate this number with a retail markup to give yourself margin to operate. However, the retail price that you charge for that product can vary widely depending on how you position it. Your marketing, including your branding, your space, your customer service, your packaging, and everything that the customer comes into contact with, influences the customer’s perception of value. While that may sound convoluted, it boils down to a fairly simple idea: you can charge more for the same thing when you convince your customers that it’s worth more – and you convince them that it’s worth more by making it look like or seem like it’s worth more. Consider this scenario: on Monday, Jane buys a muffin from the gas station for $1.49. On Tuesday, she buys a muffin from the cute new bakery on Main Street for $3.99. What she doesn’t know is that the bakery has been baking muffins for the gas station and letting them sell them for less with their own packaging. It’s exactly the same product. Where does Jane get her daily muffin from on Wednesday morning? This scenario sounds like a setup. Maybe you think you’re supposed to say she’ll go back to the new bakery because of the power of marketing (which includes branding, positioning and customer experience). First, you need to know if Jane cares more about cost, cuteness or something else entirely. Maybe on Wednesday she’ll go to the chain coffee shop where the muffins cost somewhere in the middle because she doesn’t care for cutesy décor, or the new bakery was too crowded, or its location isn’t good for her. As a new restaurant or café owner, your priority should be figuring out who your customers are (will be), and what they care about. You should offer a good product, and you should be aware of competitors’ pricing (you can’t make money on $0.30 muffins, but customers will laugh at you if you charge $7.99 each), but first and foremost, you need to understand your customer. Once you understand your customer, you want to design your space and service around them. Do they care about streamlined, modern convenience? Do they want a cute, personable experience? Are they budget-conscious? Use your décor, product displays and branding items (such as a logo, company and product names, color scheme) to show customers that you get them and position your products as more desirable (and therefore more valuable) to them. Since food services is a competitive industry, you need to stand out for something that your customers want and can’t get elsewhere. Great marketing can help you to get more for your products and operate with more margin, but the reality is that it’s still a tight budget. As you’re starting out, look for lower-cost ways to send the right signals to your customers and position yourself better. Cute signage, minimalist décor items, clever product displays and smart packaging can all be opportunities to save while improving your brand. Get a few boards that you can place by the till and in the window or on the sidewalk, and use chalkboard art to put examples of unique orders, your special of the day, or different menus for each meal up without spending a lot on a digital display board or custom printing. Found objects and minimalist décor can help you to set a tone without breaking the bank. Shop at second-hand, garage sales, charity shops, etc., for items that fit with a theme. This is a good move if your style is rustic or homey but can support a wide variety of styles, especially if you’re handy with the DIY tricks and can throw in a little spray paint to jazz things up. Don’t overdo it – just pick a few key pieces and display them as if you’re an art gallery. 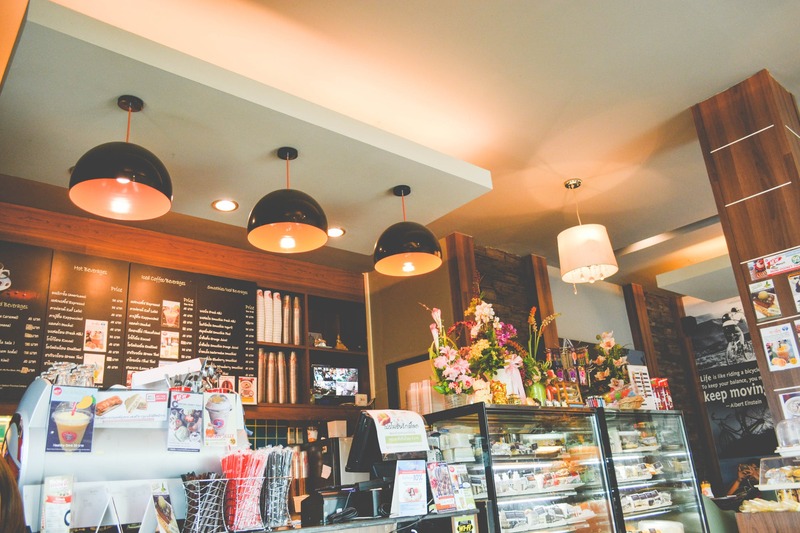 Starting a local café or restaurant is a challenging opportunity. Stand out from the crowd by understanding your customers, positioning yourself to meet their needs and interests, and increasing your value above the competition.